Good morning! After the rain of yesterday night, in Ibiza we hope a better day! 😉 Now…let’s talk about tonight, that will be absolutely amazing! Marco Carola and Music on are back! 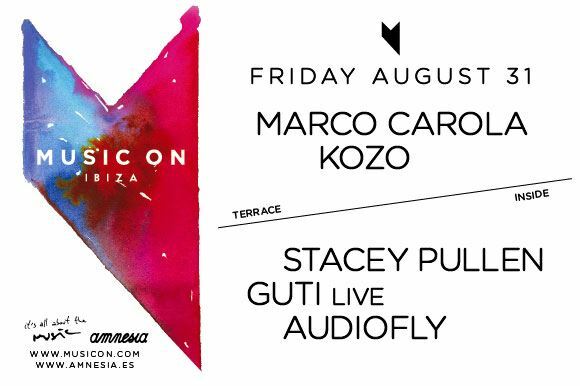 The superparty of friday night at Amnesia starts a new chapter…with a great line-up: in the Terrace will play Marco Carola and Kozo, inside Stacey Pullen, Guti live and Audiofly! This is the complete program of the event!!! 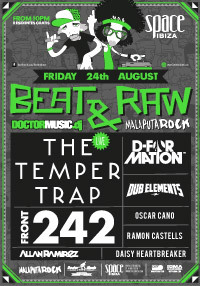 The space presents: Beat and Raw… a show with unconventional music…this week the program is very interesting…here you have the post of the event! Privilege Ibiza Privilege presents: Supermatex… an amazing show! This is the program! Nassau beach club presents: Full moon party, with the music of Lorenzo Al Dino, performances, shows and fireworks…in one of the most elegant locations of Ibiza! 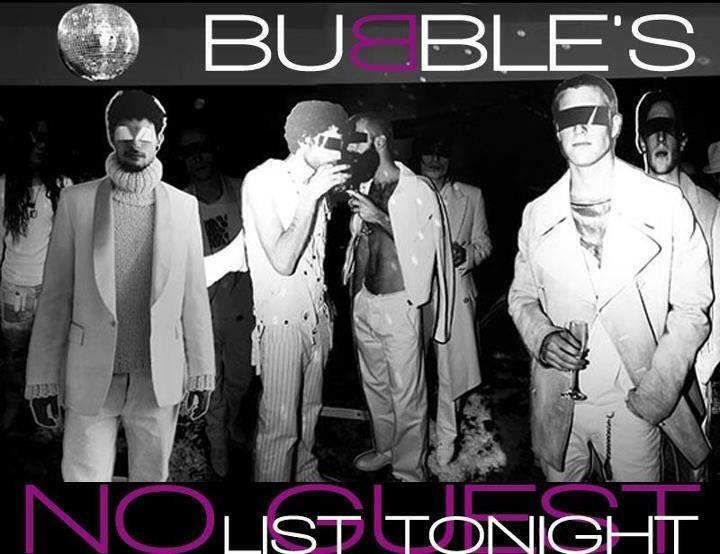 Bubbles presents: Ibizamania, with Alex Andre`, Jordi Tur and Darmada! 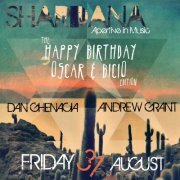 Shardana presents: Happy birthday Oscar and Bicio! 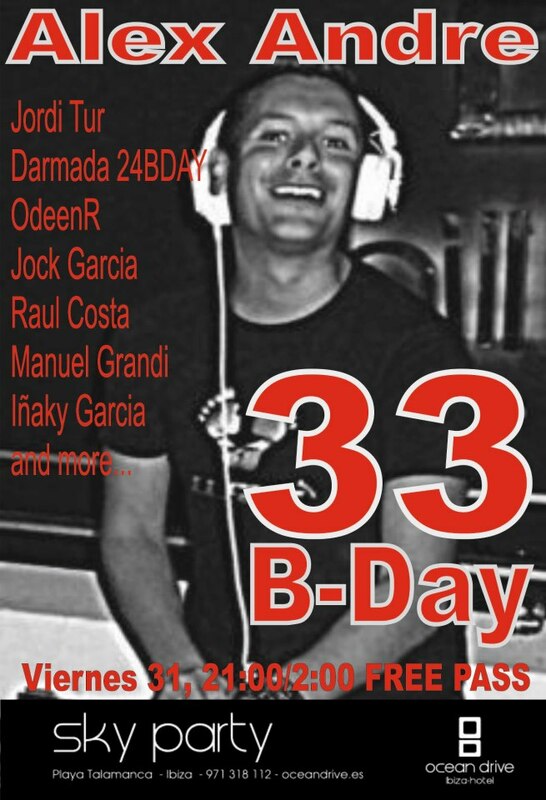 A great party for the birthday of our friends! This is the poster of the night! La Plage presents: Tiefschwartz and Elio Riso plus Steffen Baumann! Urban Ibiza presents Sub Urban Ibiza from 16,00 till midnight, with the music of Gianluca De Tiberiis, Tom Crane, Samir, Dave Luben performance by Hot ice! So dear friends, have a great Friday night! 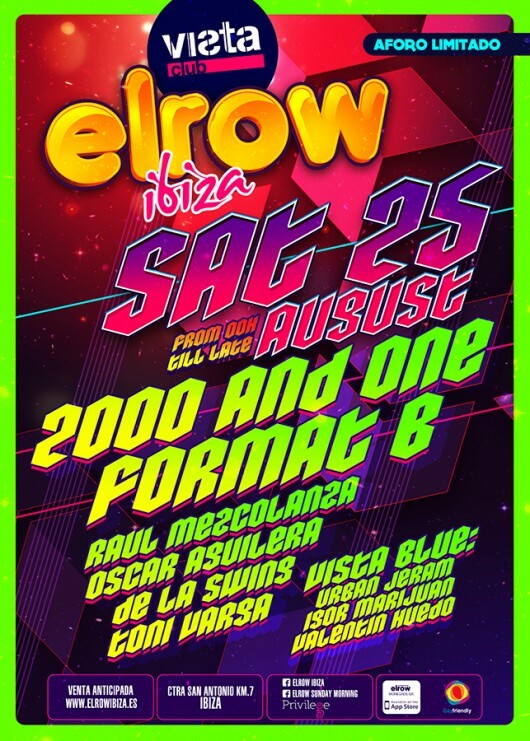 Dear friends, tonight will be another unforgettable night in Ibiza, with a lot of amazing events! Here you have a is of suggestions! 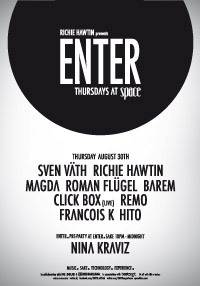 Tonight at space there will be another appointment with “Enter” , of of the top show of summer 2012! The line-up will be very intriguing, also because of with Richie Hawtin will play Sven Vath! Here you have the poster of the night! Ushuaia beach presents: Luciano, plus guests and friends, from 17,00 till midnight! With two interesting b2b! This is the poster of the event! Privilege presents: “The face of Ibiza”. 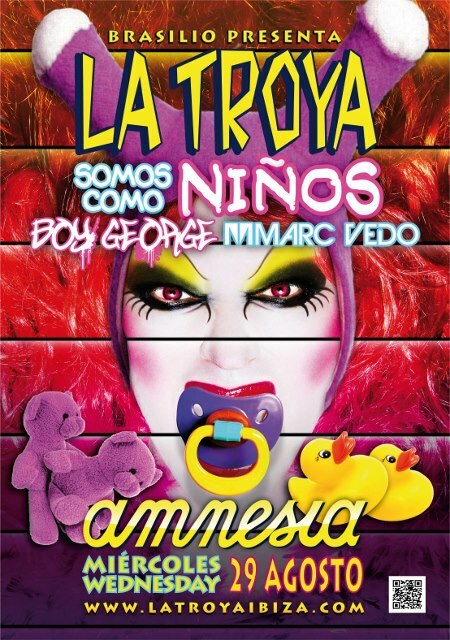 Baby Marcelo and friends are back in one of the most trasgressive and creative show of Ibiza! And the program of the night includes music, a performance of Baby Marcelo and more! Here you have the program of the event! Tonight Fernando Pablo Link and house orld de luxe presents a night of music and fashion, with Dj Miss Anna Tur, Dj Pablo Palumbo and Dj Resident Joan Ribas! Here you have the invitation for the night! 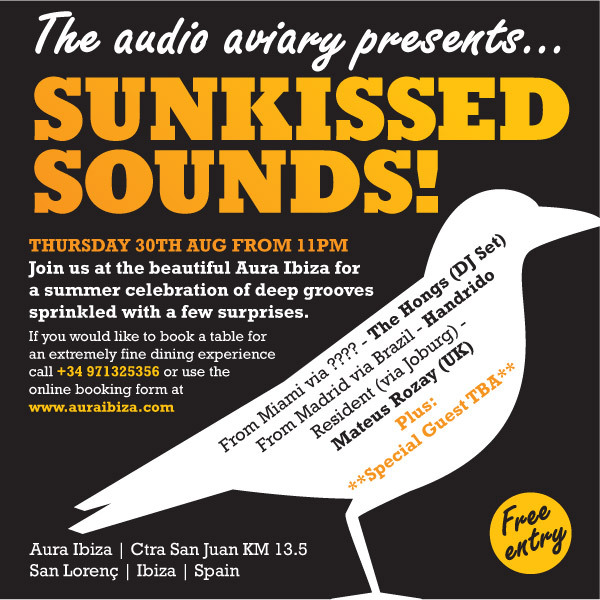 The audio aviary presents: Sunkisses sounds! With the music of Hongs (Dj set), Handrido, Mateus Rozay! From 11 p.m.! Here you have the program of the night! And now….Save the date for tomorrow! Marco Carola and Music on will be back! With another unforgettable night! Here you have the program of the night! And now I hope that you will have a great night and see you tomorrow! Wednesday night! Are you ready? 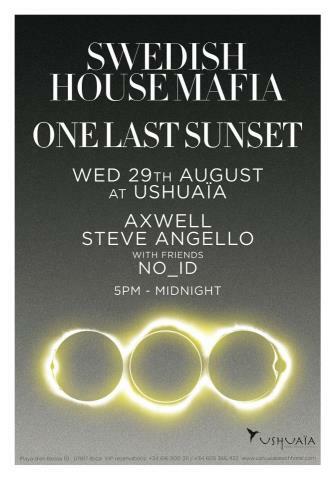 Today at Ushuaia beach hotel, from 17,00 till midnight, will be celebrated the “One last sunset” of the Swedish house mafia. The space presents: Be at space…an excellent night of music …here you have the program of the night! 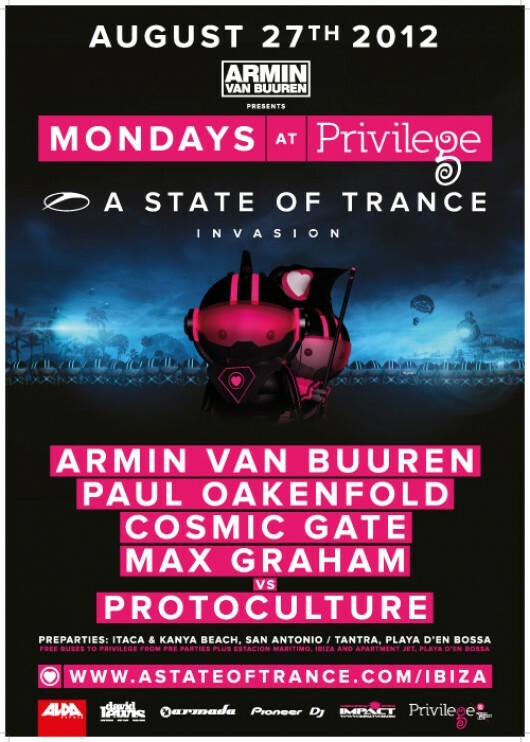 Privilege presents: Next wave…and this is the line-up of the night! Tonight, from 23,45 till 4,00 Iban Mendoza will play at El Ayoun! So..what else? Have a nice wednesday! 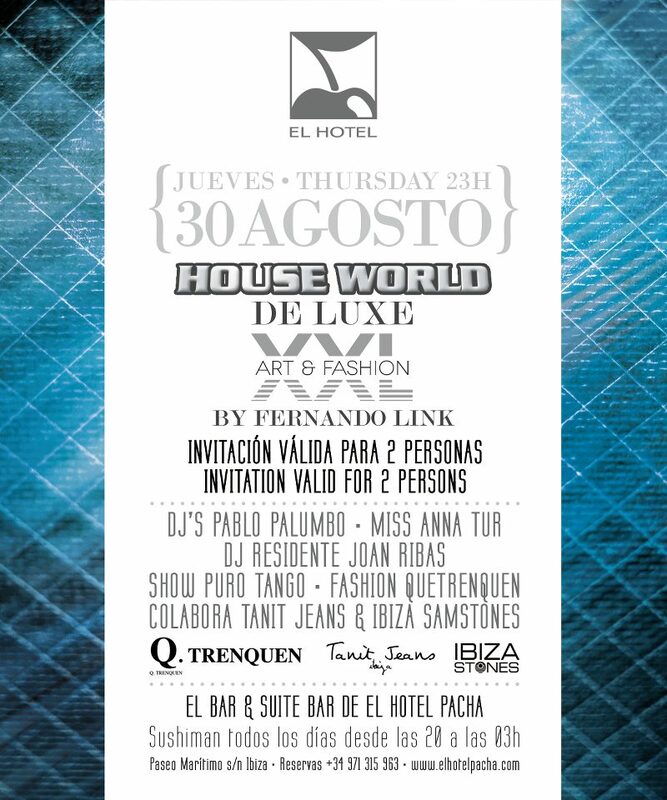 Dear friends…even if already started the first closing parties…are you ready for a brilliant tuesday in Ibiza? These are some suggestions for today! Amnesia presents a special “Together”…with a concert of a great band: Public Enemy! 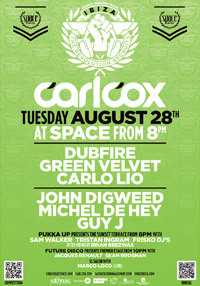 Space presents: Carl Cox! But with Carl Cox will also play Dubfire, Green Velvet, Carlo Lio, John Digweed, Michel De Hey, Guy J! This is the poster of one event not to miss! Ushuaia presents a special Tuesday… with Calvin Harris, Diego Miranda and Dj Reidicolous! From 17,00 till midnight! This is the poster of the event! 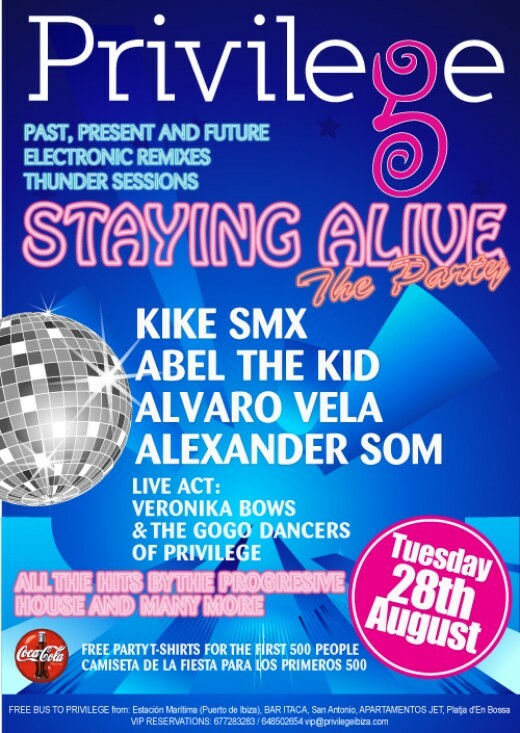 Privilege presents: Staying alive! Another nice surprise of season 2012! This is the complete program of the night! Sylvia Opere’, Daniela Biagetti, Javiera Figueroa, Carlos Santacruz and Diego Demitroff presents: This is look’s up! On the terrace of Ocean Drive hotel…from 20,00 till 1.00 a.m. one of the coolest parties of Ibiza! This is a picture taken last week! Benedicte Gauthier and Fernando Pablo link presents: no guest list tonight, from midnight till 6.00 a.m., with the music of Dj Diego Ro-K and Asso Spades. Free entry! A great Monday in Ibiza! Dear friends, I still have some problems with my pc… But here you have the news for tonight! David Guetta will play at Ushuaia (showtime from 17,00 till midnight… with a great line-up: before Guetta will play the sisters Nervo and Fedde Le Grand! A great show is coming! 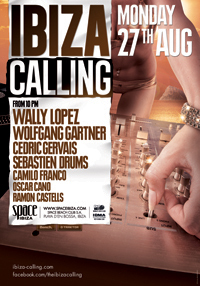 The Space presents: Ibiza calling! The excellent show of Monday night is back, with Wally Lopez, Wolfgang Gartner..and an interesting line -up…this is the complete program of the night! Ushuaia presents: Deadmau5 and friends, from 17,00 till midnight! This is the complete program! And the guesta are Redlight, Tom Staar and James Dutton! La Plage presents: Marco Carola after! From 16,00 till midnight… for an unforgettable evening…. Nassau beach presents: Dazzla Ding in action. The Australian dj will play from 13,00 till 20,00! 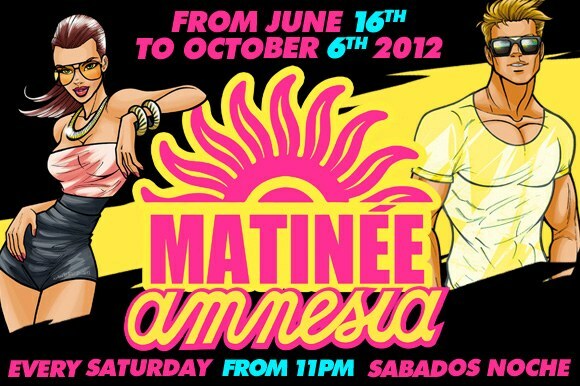 Amnesia presents: Matinee…. 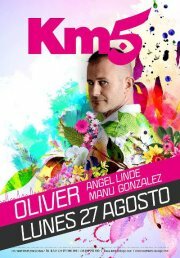 an happy show!…for further details, program and costs.. http://www.amnesia.es Space presents: Cafe ole’, an amazing party! 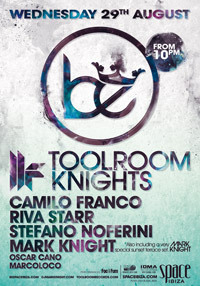 With Roger Sanchez and more! This is the poster of the event! Privilege presents: El Row! One of the surprises of sumemr 2012! This is the program of the night! Atzaro’ presents: the anniversary with sushi point! An amazing evening with the music of Sasa’ Mendone! So dear friends..have a great saturday and see you soon! Friday and some other news from Ibiza! Dear friends, friday has came! These are some suggestions for today and tonight! Marco Carola is back with Music on: a new episode of one of the top show of the summer 2012 is going to start…and the line-up includes Marco Carola, Sylvie Loto, Mar-T and more for an unforgettable night! This is the complete poster of the event! Ushuaia beach hotel presents “Never say never”, with Sasha and friends from 17,00 till midnight, for a day of great music! 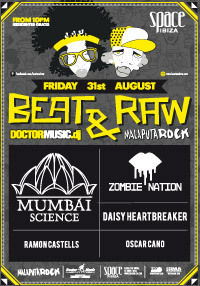 Beat and raw..an unconventional show..withy many interesting surprises…this is the poster of the event! Privilege presents: Supermartex… one intriguing show! Km5 presents: Iban Mendoza in set! In a truly elegant location! Shardana presents: aperitiv in music, an evening very very….interesting So, dear friends..have a great friday….and, because of I have some technical problems, I don’t know if tomorrow I will be able to post a new article! ;( sorry for the problem… P.s. save the date, next sunday at privilege..closing party of the amazing show “Don’t let daddy know”…with special guest Steve Aoki! This is the poster of the event!!! And another important date: next Tuesday 28th of August, at Amnesia, will play the “Public enemy” for an unforgettable concert-night…son more news…by the way for more info www.amnesia.es!